Xbox made an announcement that Xbox Live Gold & Game Pass are getting bundled together for a lower price of $15 a month & it is called Xbox Game Pass Ultimate. You can now access free games every month in addition to Xbox Live Gold subscription. 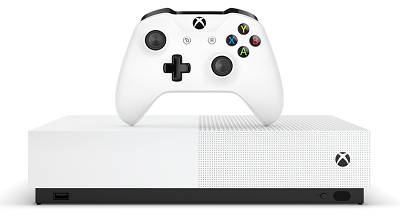 Microsoft announced that an all-digital Xbox One S is releasing on 7 May 2019 & you can buy it for $250. It will have pre-installed Forza Horizon 3, Minecraft, Sea of Thieves & a special offer for Xbox Game Pass.